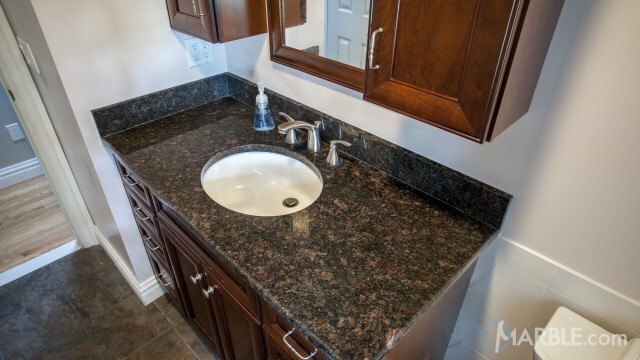 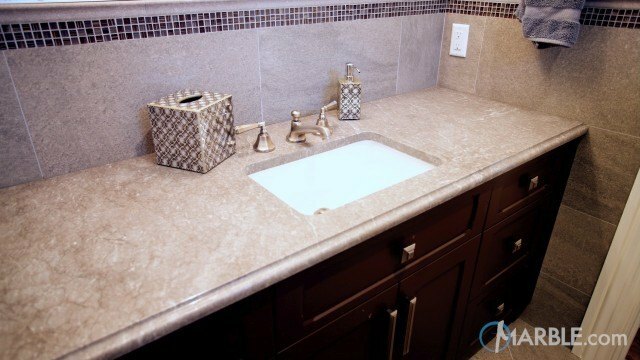 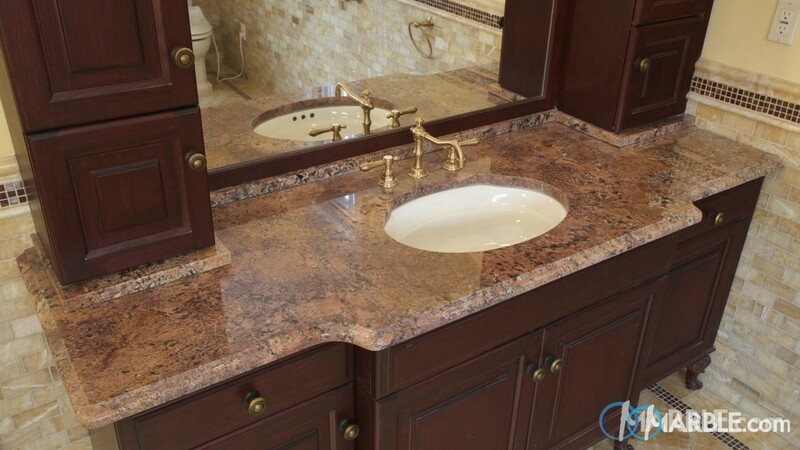 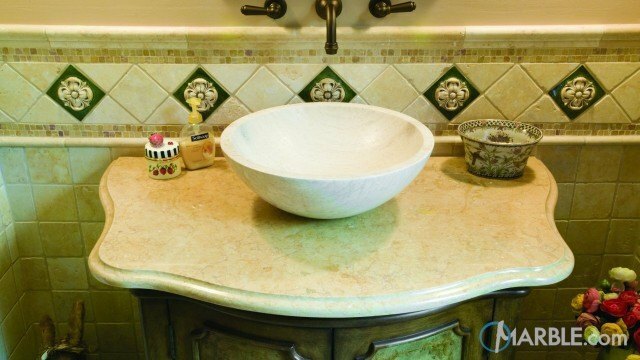 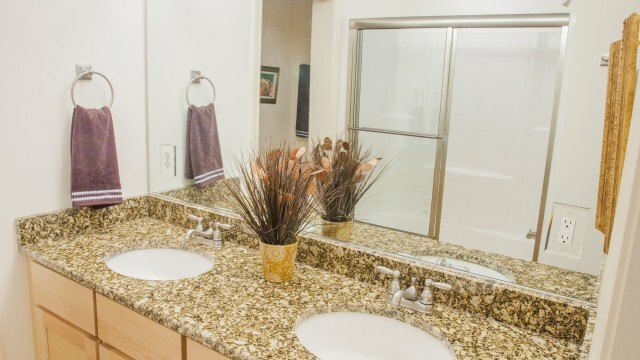 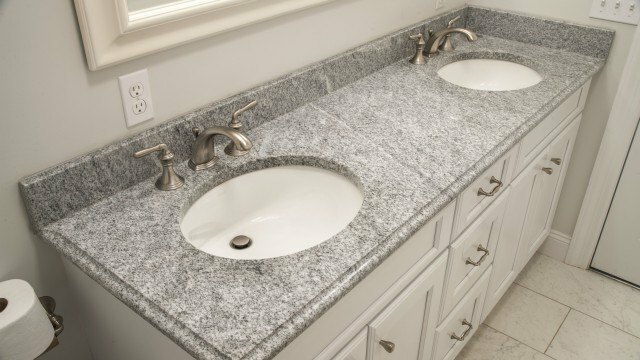 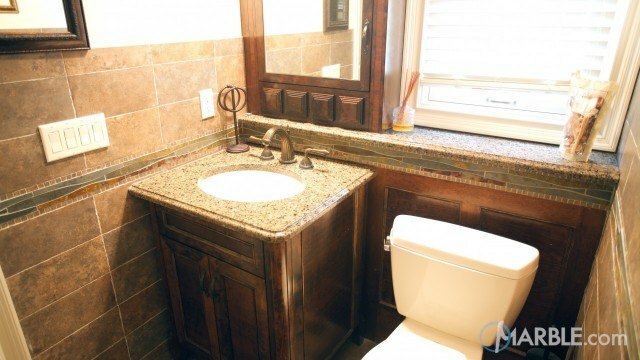 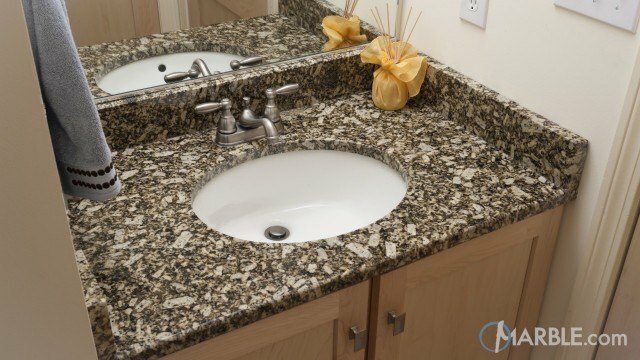 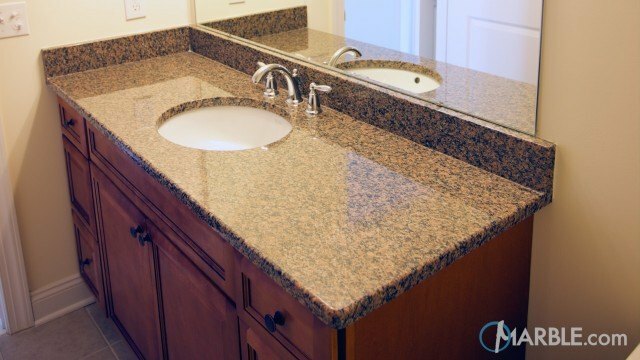 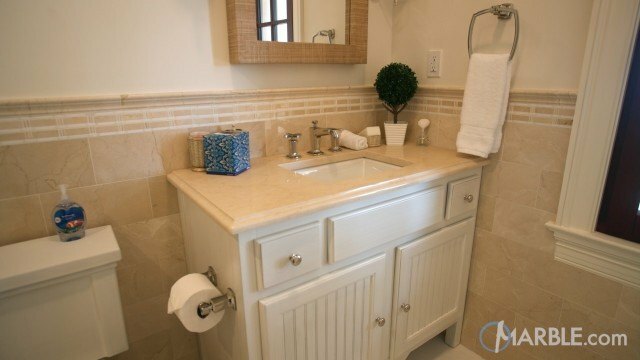 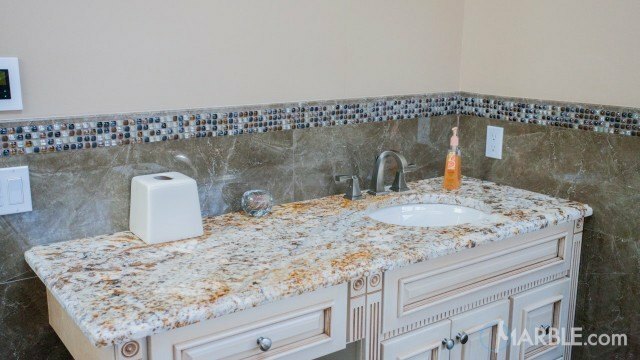 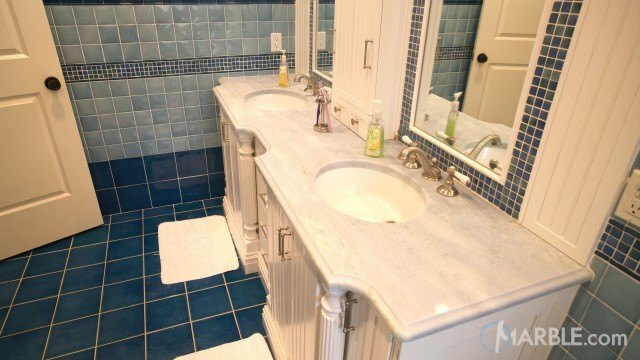 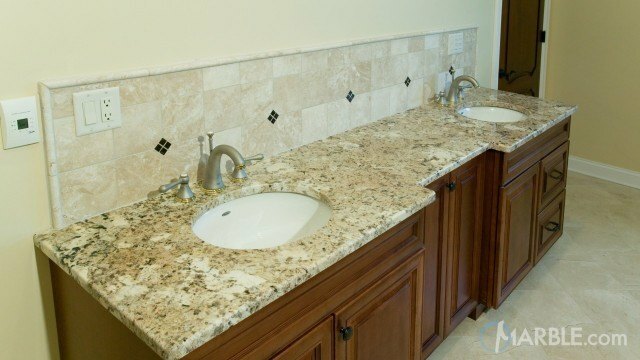 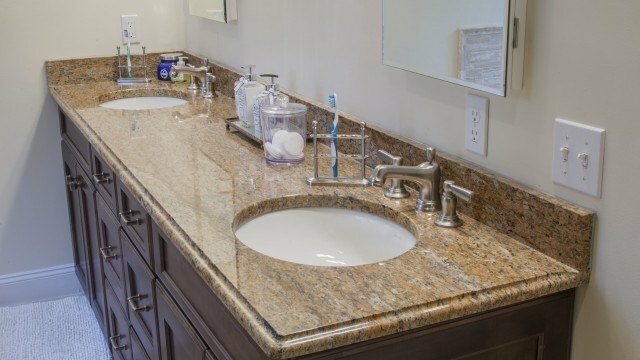 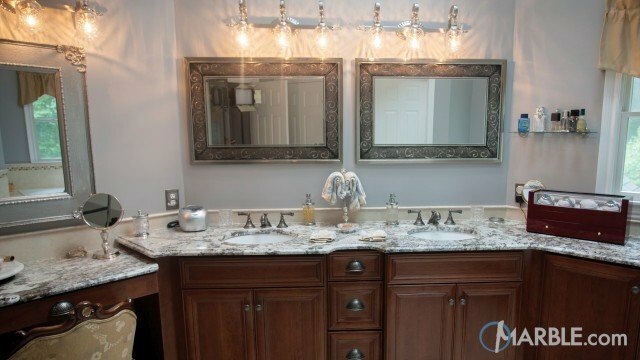 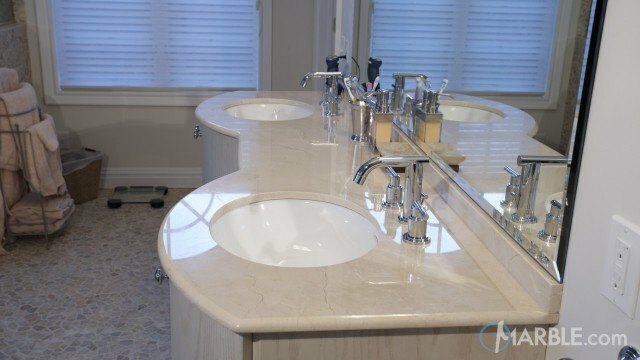 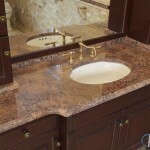 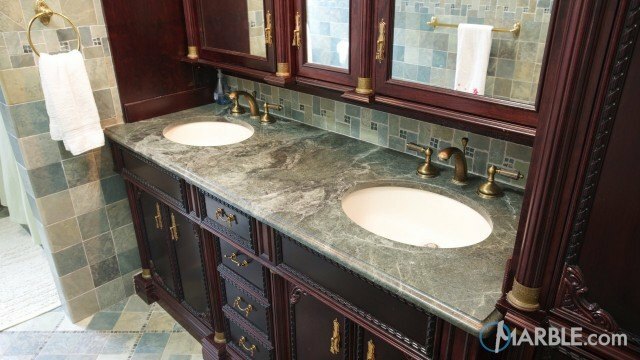 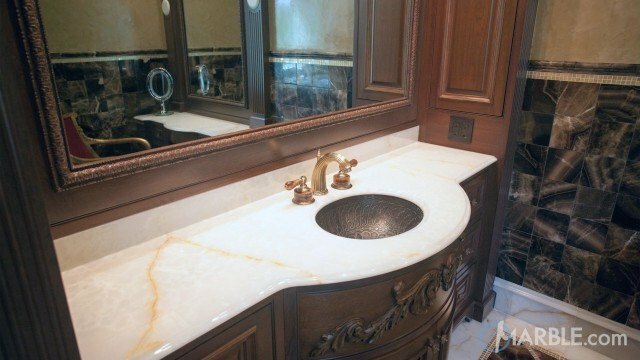 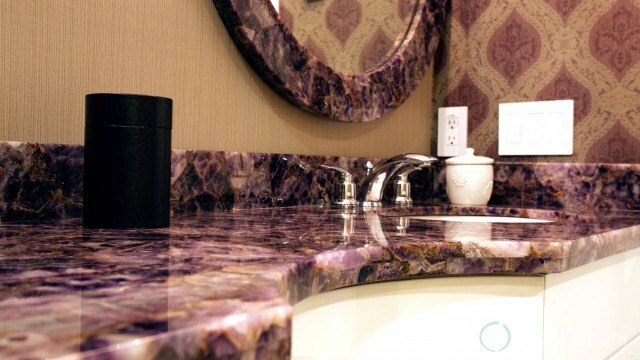 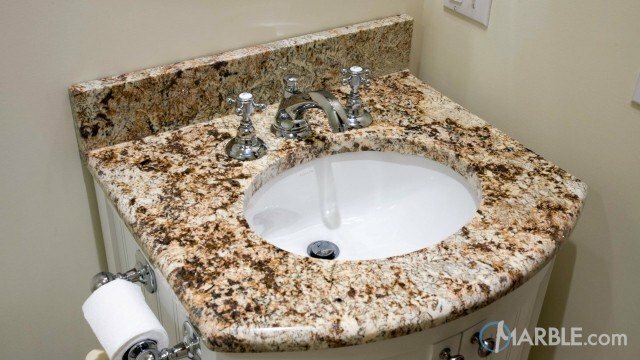 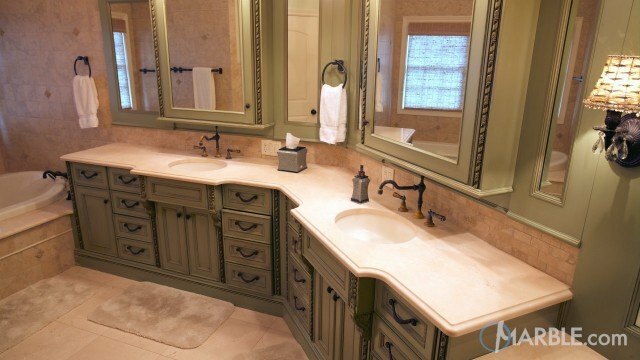 This classic bathroom is sure to impress with its Bordeaux Granite counter tops. 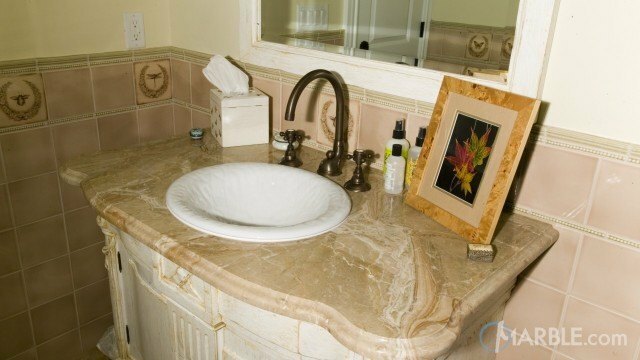 Light tiles around the room set off the blacks, pinks, and reds in the stone. 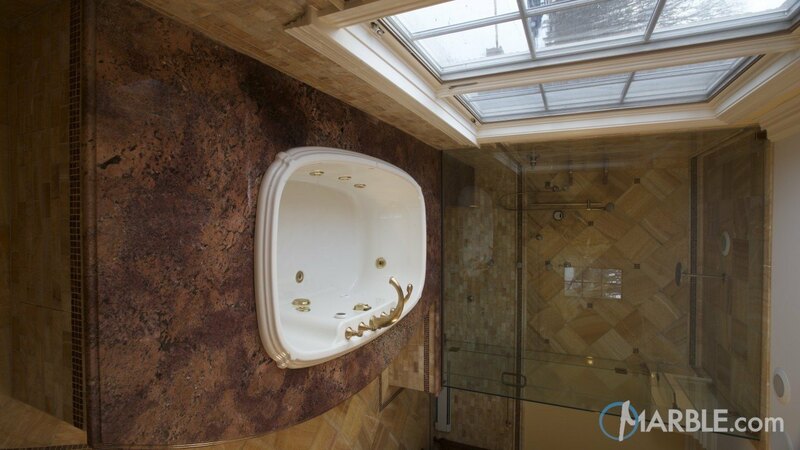 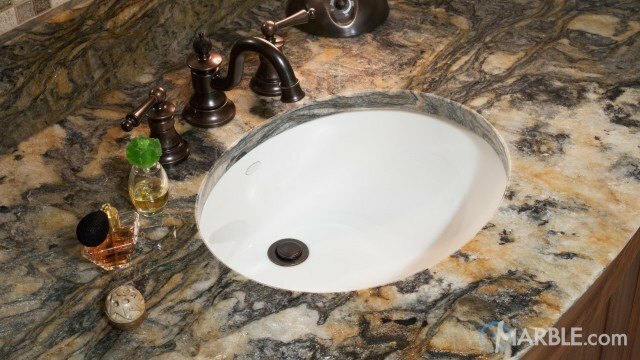 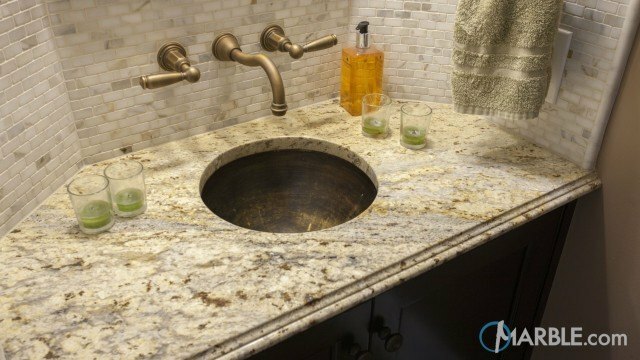 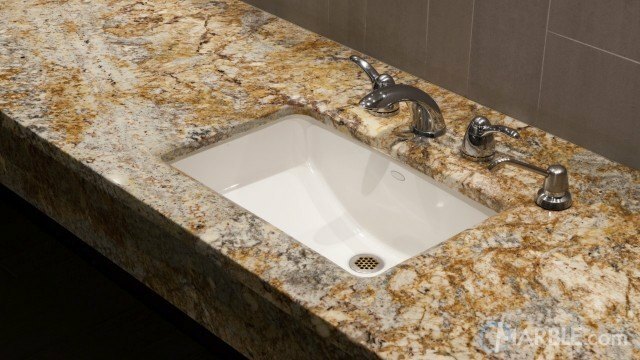 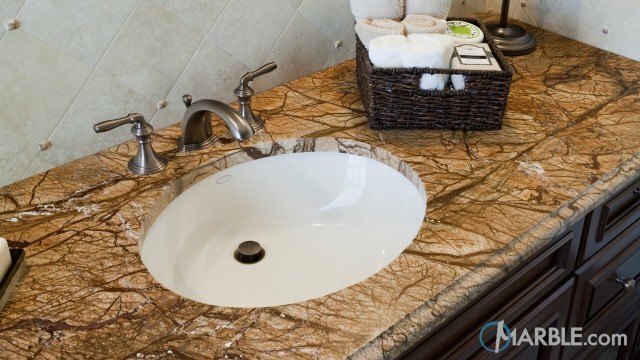 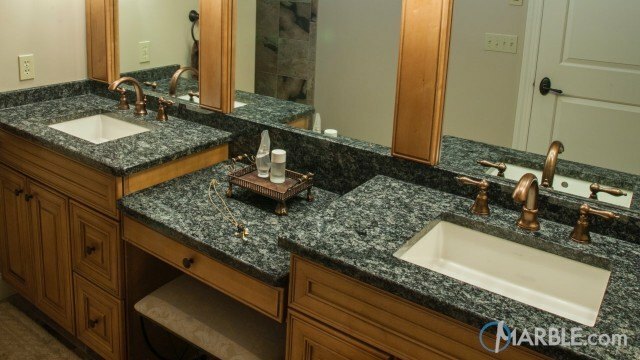 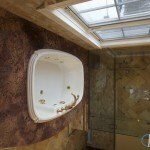 The sink and hot tub feature golden fixtures that play nicely with the stone. 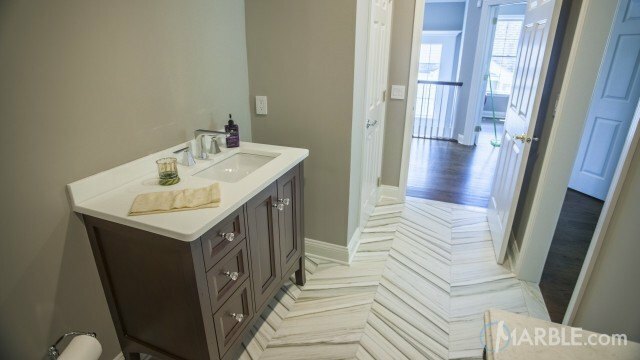 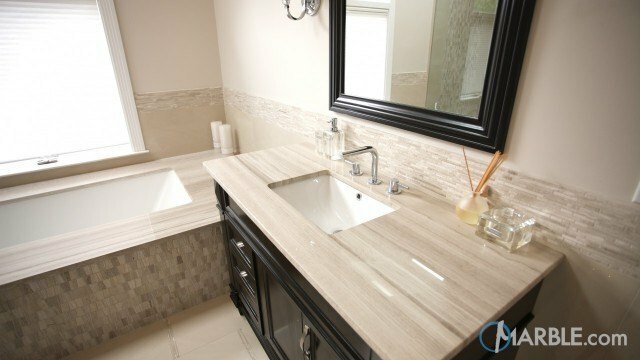 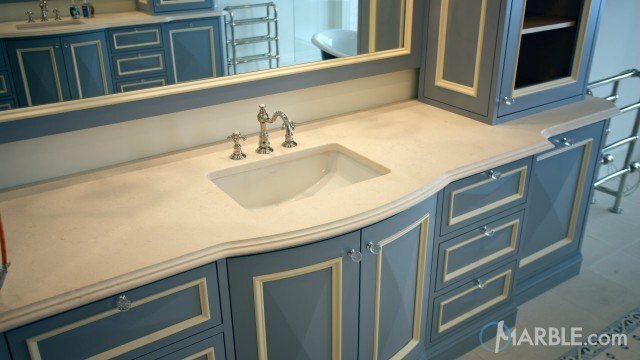 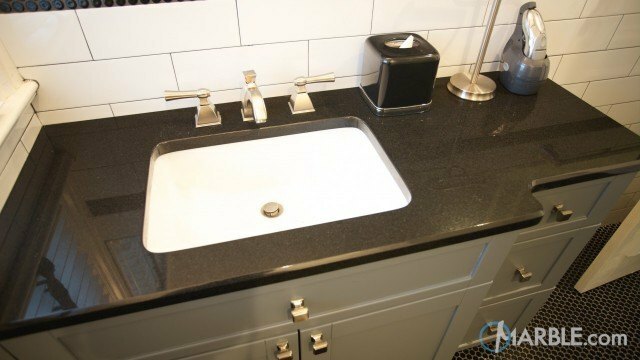 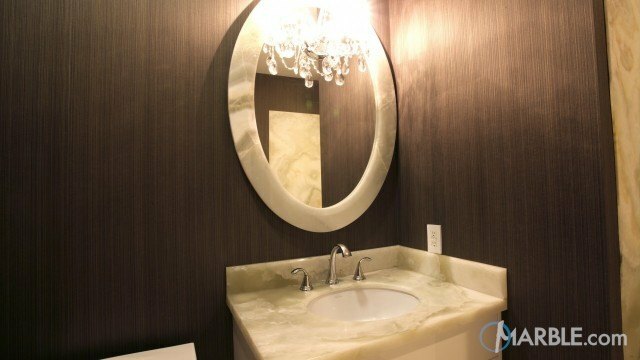 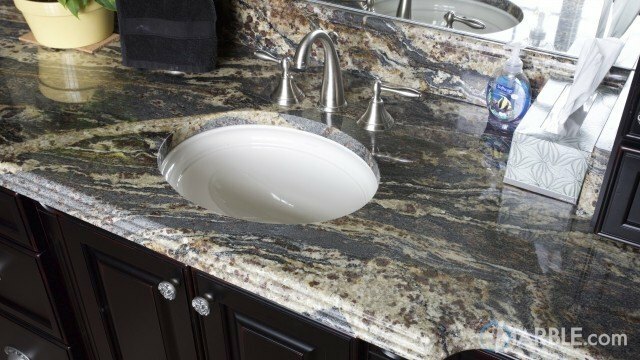 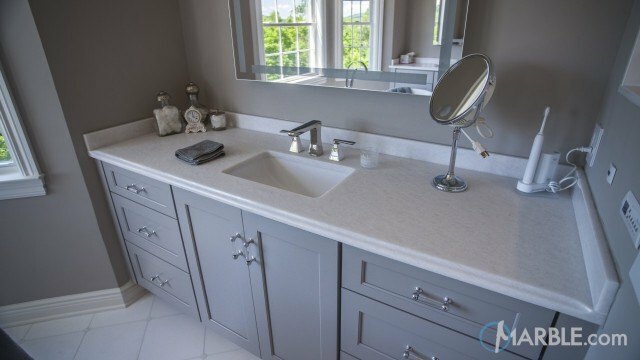 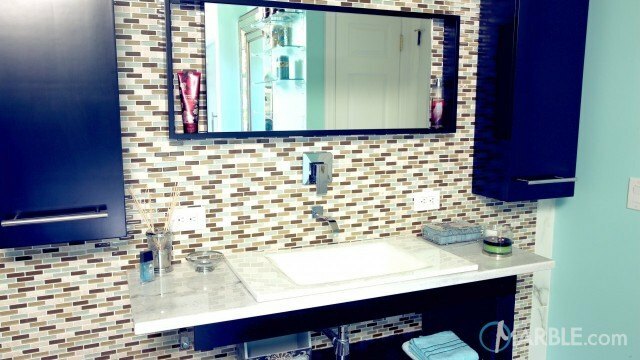 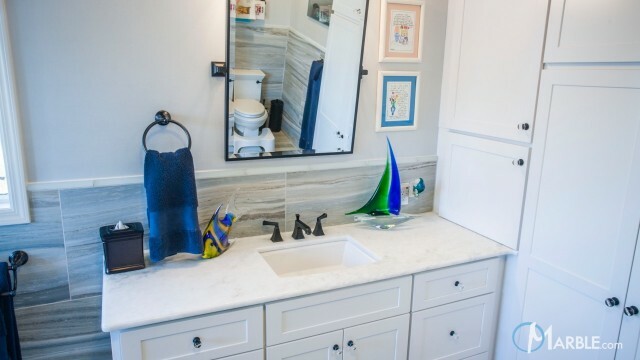 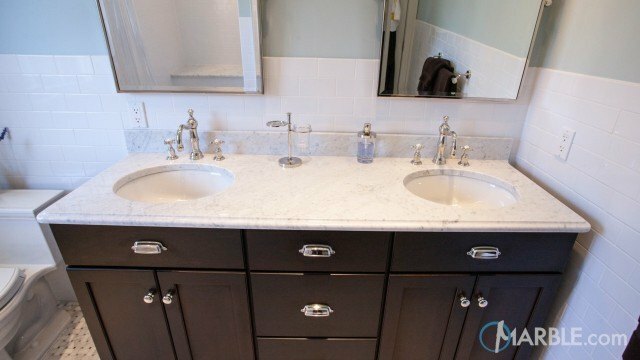 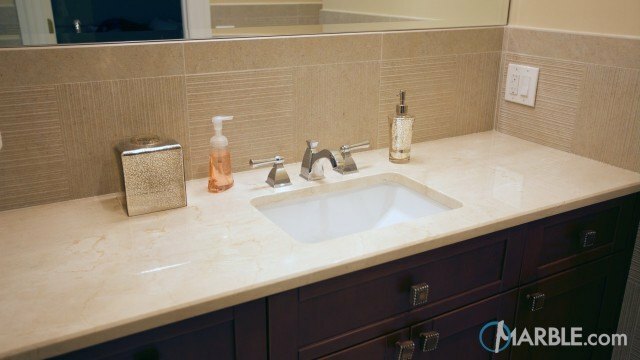 Dark cabinets on the vanity add some depth, while square pedestals under the cabinets combined with the ovular sink add a geometric touch to the room.